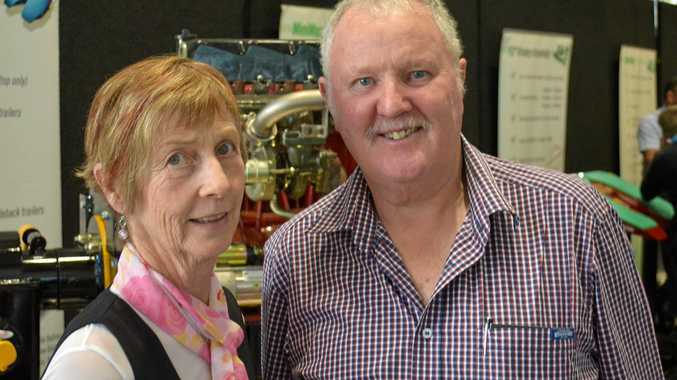 MAKING the trip across the Tasman to Brisbane for this year's truck show was Warren and Eleanor Hamilton, from Cromwell on New Zealand's South Island. Warren and Eleanor were making their first trip to the show in a number of years and were impressed with the event at the BCEC. "We thought we would come over for a holiday, it's a good chance to come over. I last went to the show 12 years ago at the showgrounds," Warren said. Having spent his career in transport in New Zealand involved in livestock, fertiliser and servicing rural communities before selling up 10 years ago, Warren now serves as a member of the New Zealand Road Transport Forum. The couple were loaded up with some new purchases from the Drake Collectables stand, bound for the special room Warren has built in their Cromwell house which currently has around 800 model trucks of all shapes and sizes on display. "I have probably purchased one new trucks' worth of model trucks over the years," he said with a laugh.